Giving up luxurious life to work for the upliftment of tribes. Reading this statement, a question pops up in most of our minds that who can do this in today’s’ contemporary world? Only a great soul can do this. Here is something about a true legend that may give you goosebumps over your body. 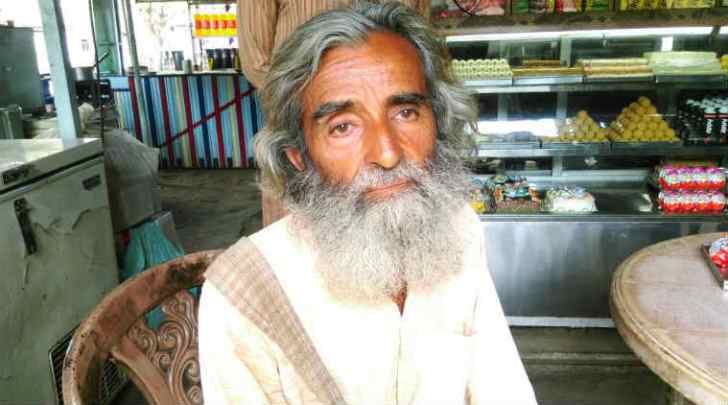 Alok Sagar, a 64-year-old man, is living in Kochamu, a village in Betul district of Madhya Pradesh without electricity and other basic facilities. Its been 32 years since he is living there. The thing that would astonish you is he did his BTech and Masters from IIT Delhi and Ph.D. from Houston University, Texas, U.S. Moreover, he has taught former RBI Governor Raghuram Rajan. He used to be a professor in IIT Delhi. He basically hails from Delhi’s Patparganj and his father who expired last year was an IRS Officer, his mother was a Physics teacher in Miranda House, Delhi University, his brother is a professor in IIT Delhi. He also has command over seven to eight languages. It was in 1982, he resigned as a professor and without caring about the comfortable lifestyle, the lucrative job he went for a social cause and wanted to contribute to the welfare of the country. He thought of starting with the tribes, where people actually understands and are connected with nature. He has planted more than 50,000 trees in the region. He rides 60 km to distribute seeds in the neighbouring villages. Alok revealed his qualifications when local authorities during Betul’s district elections got suspicious of him and asked him to leave, which later were verified and found to be true. He is a simple man who leads a satisfactory life with 3 set of clothes and a cycle. Truly an inspiration. Isn’t he? It is a perfect example showing that if a person is determined, he can do anything regardless of any kind if societal limits that a man himself creates. A heartfelt salute to Dr. Alok Sagar.